Jan. 30 (NBD) – China's drone maker Dà-Jiāng Innovations Science and Technology Co Ltd (DJI) responded Wednesday after its massive anti-corruption campaign was questioned by dismissed employees. A former employee claimed on social media that he committed no corruption and was "cleansed" out of the company, and more than half of the 45 persons on the corruption list were wrongly dealt with. The employee later deleted the post, saying he/she would personally handle the dispute with DJI since some overstated reports went against his/her original intention. The person added that he/she fully supports the anti-corruption operation, and hopes the truth will be revealed soon. On January 17, DJI released an internal statement saying that the company suffered an estimated loss of over 1 billion yuan (148.5 million U.S. dollars) due to corruption. 45 employees were linked to corruption and malpractices, among which 26 came from R&D and procurement departments. 16 persons were transferred to legal process while the rest 29 were fired. In response to the above-mentioned accusation, DJI released a statement on the early morning of Wednesday, saying that some fired employees spread rumors within and outside of the company and depicted internal investigation as factionalism, to cover or even embellish their negligence and misconduct. A person's one-sided or even anonymous account could pose great public pressure on the company, DJI added. In the statement DJI emphasized that it is difficult to investigate and collect evidence in corporate corruption cases, but the risk for discredited employees is low. These employees are rarely impacted when they change jobs or continue their careers. 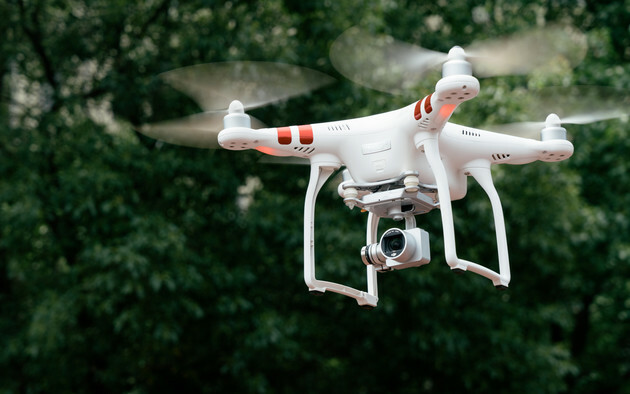 Some even developed mutually protective relationship with part of the suppliers, which made the latter unwilling to cooperate in the investigation on suspected employees so that they could continue unlawful cooperation at other companies, DJI said. DJI revealed that even 5 to 10 percent rise in procurement cost caused by corruption could lead to 16 to 33 percent rise in the whole cost, becoming a great obstacle to China's tech industry. DJI's CEO Wang Tao submitted a proposal at a recent Political Consultative Conference session of Shenzhen, suggesting the joint establishment by government and industry of lifelong credit system for people on high-risk posts, making employees close to large amount of funding and resources work transparently. However, DJI also emphasized that it will not wrongly accuse anyone innocent. The company admitted that former employees who left with proper reasons were negatively affected by the incident. DJI welcomes potential employers to contact the company for necessary background investigation. Established in 2006, DJI is now the world's biggest drone maker, taking over 70 percent of the market share. In 2018, however, the company faced pressure from the slowdown of demand for consumer drones, as well as delivery and e-commerce giants which are developing drones for industrial use, making cost reduction a major task for DJI.